While your estate plan should certainly include careful strategies about how you want to pass on your assets after you pass away, it might also be worthwhile to use the annual gift tax allowance to transfer some of your property while you’re still alive. This can help a loved one who needs assistance now and it can help you minimize the size of your estate. Of course, this is a strategy that should be evaluated by your New Jersey estate planning lawyer. Since the federal gift tax is based on gifts made within a calendar year, perhaps you’re looking ahead to what you want to gift in 2017. You are able to give up to $14,000 to each person every year without facing taxes. This means that if you have a larger gift, you can pool this with your spouse to give up to $28,000, or you can spread out your gift across several years. In some ways, this allows you to plan ahead over many years and remove assets from your estate. It can also make sense for spendthrift children, who you may want to receive assets, but only in smaller portions than a lump sum. Depending on your needs and goals and the behavior of your beneficiaries, this might be the most effective way to handle your estate. However, this is just one strategy. 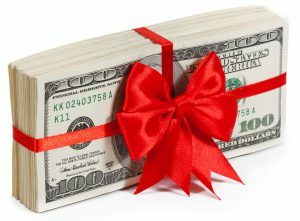 This gift tax exclusion is something that will likely make up part of your estate planning but not the whole strategy. Meeting with an estate planning lawyer in Monroe Township can help you identify your short-term and long-term planning goals so that you’re making use of all relevant strategies.